Halfpoint/ShutterstockThe cost of a prenup depends on myriad factors. Typically, prenups cost around $US2,500, but can cost more if you spend a while haggling out various issues. The cost of a prenup depends on where you live, what you’re protecting, who your attorney is, and how long the negotiations take. Contrary to popular belief, you don’t need to be rich to get a prenup. Regardless of how much they have in assets, more millennials are signing on the dotted line before saying “I do” thanks to the several benefits of prenups. But do you need to be rich to be able to afford a prenup? The cost of a prenup depends on where you live. In places with a higher cost of living, like major urban cities, you can expect to shell out a bit more for a prenup. For example, the cost to negotiate and draft a prenup in Manhattan can range from $US7,500 to $US10,000 per party, Kelly Frawley and Emily Pollock, partners in the Matrimonial and Family Law Department at Kasowitz Benson Torres LLP, told Business Insider. But besides location, there are a number of other factors that can affect the cost of a prenup. 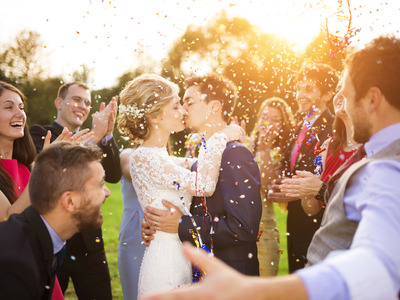 Max Berger, wealth strategist regional manager at PNC Wealth Management, told Business Insider he’s seen the cost of negotiating and drafting prenuptial agreements range from three-figure fees to high five-figure fees. “It all depends on what you are protecting, if the negotiations are contentious, the quality of counsel you select, and the client’s own socio-economic level,” Berger, who is based in McLean, Virginia, said. The more you haggle, the more hours you’ll end up paying for. If you haven’t discussed your expectations of what you want in the prenup beforehand, or you convey a different message to your counsel than what was previously discussed, this will make the prenup process take longer than expected, explain Frawley and Pollock. Negotiations can also be prolonged, they said, if the opposing counsel doesn’t focus their practice in the matrimonial and family area because they aren’t as familiar with some standard provisions and courtesies. According to Berger, negotiating around sensitive areas like inheritance for children from a prior marriage, alimony obligations, and reasons for fault-based claims such as infidelity can cause an otherwise friendly negotiation to go sideways. Other costly issues could be complex issues in your own affairs, or your family’s, according to Berger. “Also, where there are existing complex arrangements like trusts, LLCs, and partnerships that protect wealth and save taxes – that may need to be revealed to your future spouse, and it may be something they want to talk through with you, with counsel present, naturally,” he added. In Berger’s opinion, a prenup is priceless. “If you want to pay less, you may sacrifice quality – although paying more doesn’t necessarily guarantee quality,” he said.